“Cari makan” quips PAC’s Hasan on not calling PM about the 1MDB issue. Having been whacked right, left and centre for his “cari makan” remark at a press conference, the PAC chief swore off press conferences completely. Takut-ma. Then he got whacked right, left and centre again. Now, he makes a u-turn. Public Accounts Committee (PAC) chief Hasan Arifin may not be so happy with the media after reporting his “cari makan” remarks last week. But, for the sake of rakyat, he rescinded his decision not to hold anymore press conferences today. “The PAC is responsible to Parliament, and Parliament is responsible to the rakyat. “So it is our responsibility to explain from time to time, issues that were discussed by the PAC,” Hasan said at the start of today’s press conference in Parliament. Today’s media briefing was about the third auditor-general’s report for 2014. Hasan said the PAC would be meeting on the 1MDB case next week, adding that all future press conferences would be held at 2.30pm. Last week, Hasan had said that the committee would no longer be holding media briefings, and would only issue written statements. PARLIAMENT A DAP lawmaker has called for Hasan Arifin to resign as the chairperson of the parliamentary Public Accounts Committee (PAC) for his shameful ‘cari makan’ remark earlier today. “This is the conduct of the PAC chief? It is embarrassing, shameful,” said Gobind Singh Deo (DAP-Puchong), after reading out the Malaysiakini article titled ‘Cari makan, quips PAC’s Hasan on not calling PM’. 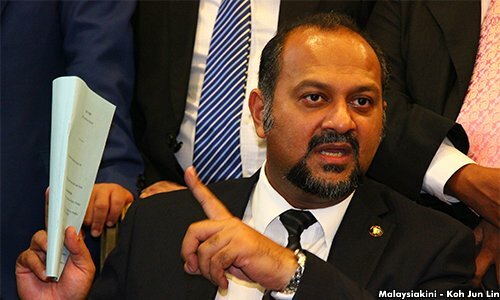 “If this is true, the chairman of PAC must resign because it is clear now that the PAC chairman is not independent,” Gobind said when debating on the Budget 2016. “Can we imagine what this impression gives to the public? Is this the standard we have of an MP whom we have as (PAC) chairman, and who helms such a powerful committee? “Can we just sit back and allow these kinds of responses to go to the public? This is very shameful and embarrassing,” Gobind said. Both Amanah MP Mohamed Hanipa Maidin and PKR lawmaker Johari Abdul later held a press conference together with Gobind to call for Hasan to step down. Such statement showed the independence of PAC was compromised, said Hanipa. “I don’t think that statement is fair; if you want to get to the bottom of (1MDB), you have to call all the stakeholders,” he said. Najib is the chairman of the 1MB advisory board. “It is very unbecoming for the PAC chairman to say ‘saya nak cari makan’,” said Johari. “This is a Parliament which represents 30 million people, not an enterprise. If he did utter the word, the best thing for him to do is resign,” he said. Hasan secreted this remark when pressed him on whether he would call Prime Minister Najib Abdul Razak for questioning by the committee on the 1MDB issue. It won’t be a surprise if he moves swiftly to retrieve it because of its potential for damaging interpretations. Political salons will hum with chatter on whether the remark was a Freudian slip or not. Speculation mills will churn and talk that Hasan was chosen to chair the PAC for just the reason his remark had indicated of his suitability – his pliability to pressure from higher quarters – will gain credence. Hasan’s “cari makan” remark will set tongues wagging. In fact, it is just what critics of the way the 1MDB issue has been handled may have been waiting for to stoke the controversy further. His attempt to get out of his unenviable predicament is UNBELIEVABLE! Public Accounts Committee (PAC) chief Hasan Arifin said he literally meant ‘looking for food’ when he uttered, ‘Saya pun cari makan’. The term ‘cari makan’ is often used to express the need to earn a living and the Rompin MP explained this was not what he intended to convey when quizzed on the reasons behind PAC’s decision not to summon Prime Minister Najib Abdul Razak over its 1MDB probe. Furthermore, he said the remark was off the record as it was made in jest with the intention to be friendly with the media, for whom he provided lunch. “As the press conference was coming to a close, I invited the media to lunch and after that joked ‘saya pun cari makan‘ to create a more friendly environment with the media. “I also informed the media that what I said about ‘saya pun cari makan‘ should not be reported because it was just a joke,” he added in a statement. 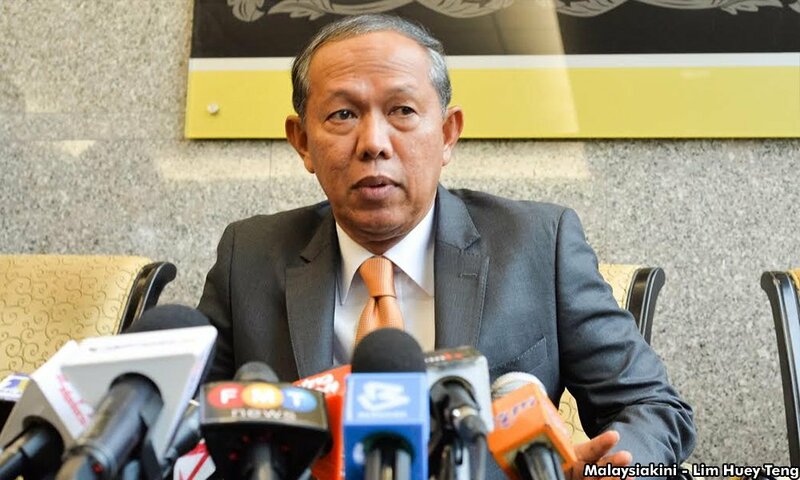 PARLIAMENT | Public Accounts Committee (PAC) chairperson Hasan Arifin said it is not necessary to call Prime Minister Najib Abdul Razak over the 1MDB probe. “Not necessary,” he repeated several times when grilled by reporters about whether the PAC will call Najib in their probe. He then laughed and told reporters, “You don’t…” before breaking into laughter again without finishing his sentence. He said this when told that his predecessor Nur Jazlan Mohamed had stated that if necessary, the committee would call Najib to facilitate its probe.